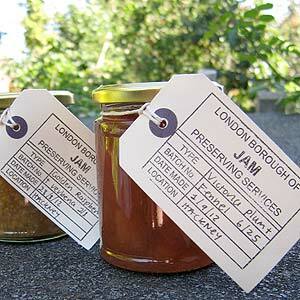 i called in at the king's road food market this weekend and bought a couple of jars of jam from the hackney-based london borough of jam. golden raspberry (less tart than it’s pink cousins, apparently) with verbena is softly set and delicately flavoured. more robust and my absolute favourite is victoria plums with fennel, the anise flavour coming from fennel flowers. if you’re local, if you’re closer to their more usual east london stomping grounds, do have a look at the range of interesting jams on offer. you might just fall in love.